An hour or two, or an entire day at WaveLengths Salon & Spa is an escape to a different world. Suddenly, it’s all about what’s best for you. Now take time for yourself —look great, feel great! Don't miss our latest Hair and Makeup styles on the OceanCliff models during the 12:00 noon and 2:30 pm fashion shows. 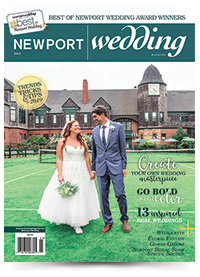 And please look for information about Wave Lengths in your free Welcome Bag at the 17th Annual Newport Bridal Show, Sunday, March 3, 2019. Complete the form below to send Wave Lengths Salon & Spa an e-mail message.